$52.00 Ships within 24 hours. Medication information about generic Zocor Important information about usage, risks and possible side-effects..
Possible Uses of Zocor: This medicine is an HMG-CoA reductase inhibitor used to lower cholesterol and triglyceride levels in your blood or to raise HDL levels. It may also be used to treat other conditions as determined by your doctor. Before using Zocor: Some medicines or medical conditions may interact with this medicine. INFORM YOUR DOCTOR OR PHARMACIST of all prescription and over-the-counter medicine that you are taking. 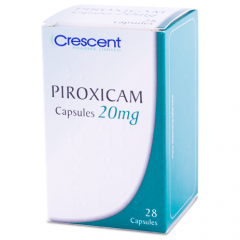 DO NOT TAKE THIS MEDICINE if you are also taking fibrates ( e.g., gemfibrozil, fenofibrate), mibefradil, HIV protease inhibitors ( e.g., ritonavir, lopinavir, nelfinavir), or azole antifungals ( e.g., itraconazole, ketoconazole). ADDITIONAL MONITORING OF YOUR DOSE OR CONDITION may be needed if you are taking amiodarone, colestipol, cholestyramine, niacin, cyclosporine, macrolide antibiotics ( e.g., erythromycin, clarithromycin, troleandomycin), dalfopristin, nefazodone, digoxin, verapamil, blood thinners ( e.g., warfarin), diltiazem, rifamycins ( e.g., rifampin). Inform your doctor of any other medical conditions, allergies, pregnancy, or breast-feeding. USE OF THIS MEDICINE IS NOT RECOMMENDED if you have a history of liver disease. Contact your doctor or pharmacist if you have any questions or concerns about taking this medicine. 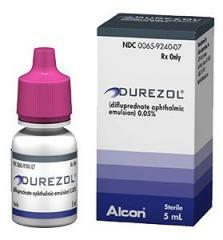 How to take Zocor: Follow the directions for using this medicine provided by your doctor. This medicine may be taken on an empty stomach or with food. IF YOU ARE TAKING 1 DOSE A DAY, take your dose in the evening or at bedtime as directed by your doctor. AVOID DRINKING GRAPEFRUIT JUICE while taking this medicine. 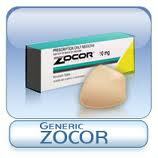 Precautions When Using Zocor: FOLLOW THE DIETARY PLAN provided by your doctor. KEEP ALL DOCTOR AND LABORATORY APPOINTMENTS while you are using this medicine. BEFORE HAVING ANY KIND OF SURGERY, tell your doctor that you are taking this medicine. BEFORE YOU BEGIN TAKING ANY NEW MEDICINE, either prescription or over-the-counter, check with your doctor or pharmacist. 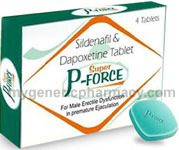 FOR WOMEN: DO NOT USE THIS MEDICINE if you are pregnant. IF YOU SUSPECT THAT YOU COULD BE PREGNANT, contact your doctor immediately. IT IS UNKNOWN IF THIS MEDICINE IS EXCRETED in breast milk. DO NOT BREAST-FEED while taking this medicine. Side Effects of Zocor: NO COMMON SIDE EFFECTS HAVE BEEN REPORTED with the proper use of this medicine. CHECK WITH YOUR DOCTOR AS SOON AS POSSIBLE if you experience muscle pain, tenderness, or weakness, especially if associated with fever and a general feeling of discomfort; rash; yellow skin or eyes; or unusual bleeding or bruising. CONTACT YOUR DOCTOR IMMEDIATELY if you experience the following side effects or symptoms of toxicity: swelling of hands, face, lips, eyes, throat, or tongue; difficulty swallowing or breathing; or hoarseness. If you notice other effects not listed above, contact your doctor, nurse, or pharmacist. Drug Interactions of Zocor: Drug interactions can result in unwanted side effects or prevent a medicine from doing its job.Inform your doctor about all the medicines you take with and without a prescription. Storage of Zocor: Store at room temperature away from sunlight and moisture. Keep this and all medications out of the reach of children. Other Information of Zocor: DO NOT SHARE THIS MEDICINE with others for whom it was not prescribed. DO NOT USE THIS MEDICINE for other health conditions. KEEP THIS MEDICINE out of the reach of children. IF USING THIS MEDICINE FOR AN EXTENDED PERIOD OF TIME, obtain refills before your supply runs out.